Rusk County Amateur Radio Club. A local amateur radio organization recently honored Rusk County Electric Cooperative for its on-going support of emergency communications. 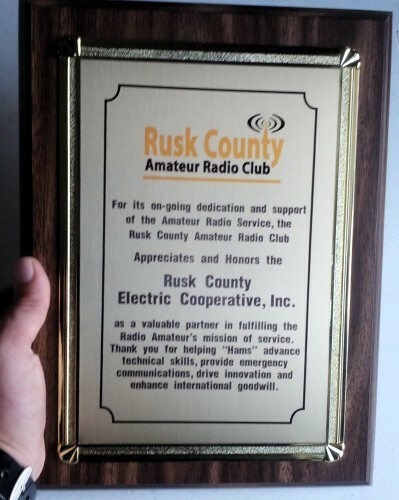 Members of the Rusk County Amateur Radio Club, often called “hams”, presented the co-op with a special plaque during a ceremony at the electric company's offices. “We are very pleased to be able to help,” said Rhett Reid, who serves as the co-op's manager of engineering. Reid oversees the technical details of partnership between the two groups. For the past year, one of the co-op's 400-foot radio towers has served as a platform for an amateur radio repeater system. Licensed as “N5RCA” by the Federal Communication Commission, the repeater is owned by the club and is regularly used to relay both routine and emergency messages across a twelve-county area in East Texas and western Louisiana. Before moving to its current location, the repeater stood on a water tower in Henderson. 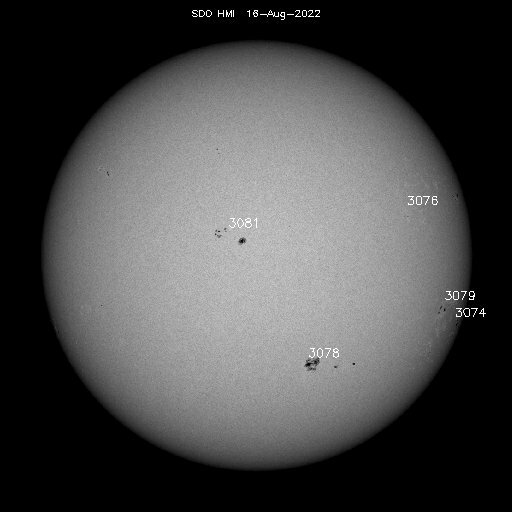 Ballow said the location severely limited the range of the repeater and meant important information could not be shared with other counties. “It's made all the difference,” explained Ballow. "Rusk County Electric has been a great partner. They've really done a lot to make the community service we provide possible. 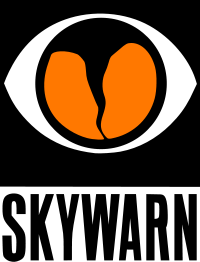 We just can't say enough of how thankful we are for their continued support of ham radio and emergency communications." Thanks for all your efforts to support the Rusk County Amateur Radio Club!